Long time followers would know that I’m obsessed with ADDICTION by Ayako (here and here). The Japanese brand has an extensive, yet still well curated selection of products. It oozes simplicity with a modern edge. Its biggest charm for me are the cheek items. I find them to be very unique and incredibly versatile. Obviously, they left me wanting more. And more. 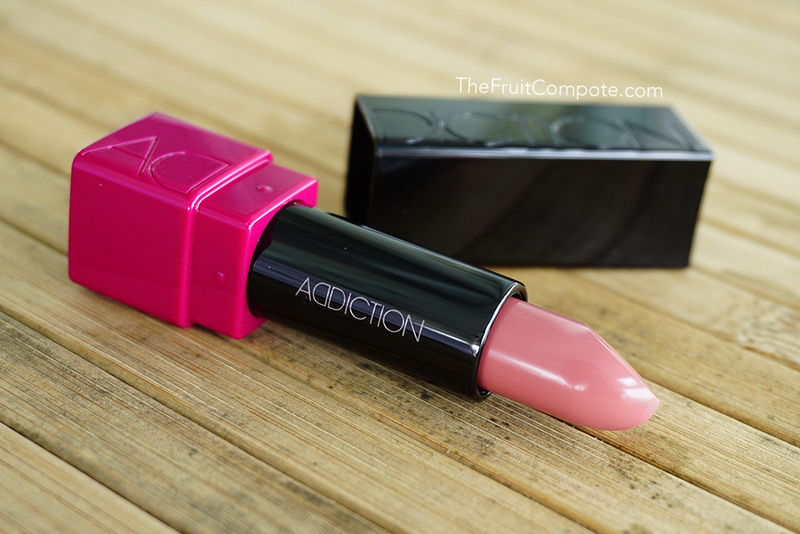 Meet the one product that has been in my constant makeup routine for months, ADDICTION by Ayako Cheek Stick in Rose Bar. ADDICTION by Ayako Cheek Stick is basically a multi-functional product in the shape of a lipstick. We can use it on the cheeks, lips and even eyes (for some of the shades). So far, the brand has 17 different shades in the line. The finish ranges from matte to pearly sheen. Rose Bar is matte and quite velvety. Rose shades weren’t my thing. They’re my good friend’s, Attika. She has a serious addiction towards all things roses. She always lures me into these shades. I love them, but I had a hard time pulling it off, or more like adjusting to it. They tend to make me look plain Jane and more mature. But that’s just perspective speaking. Where’s the fun in makeup if we’re not trying new things? Or everything in life, really. On the first try, I think I did OK. I noticed the muted quality of rose shade and realized the potential of it. I was quite surprised at the pigmentation once I figured I might had applied more than I should. But the easy-to-blend texture made it easy to fix. 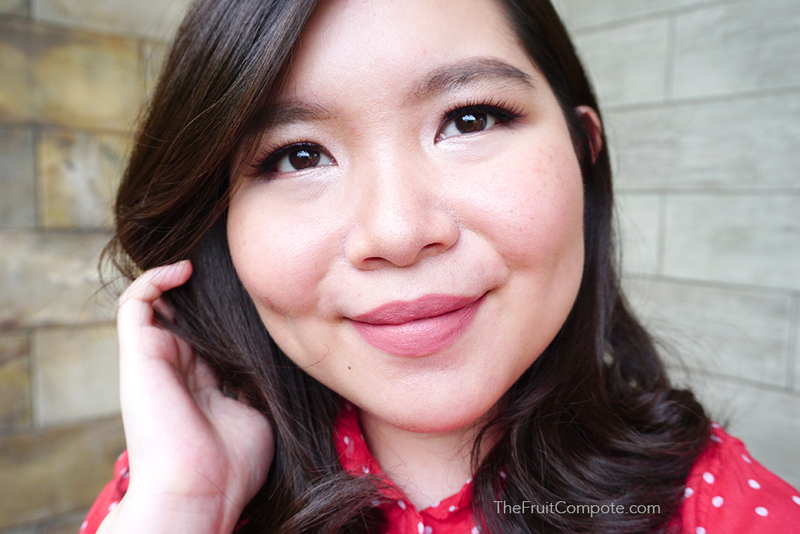 Click here for my FOTD. The second try, I got comfortable right away at the placement and the amount of product I deposited. I saw that if I place Rose Bar a little bit just under the cheekbone and blend it upwards, it can give an illusion of a more sculpted cheek. Plus point there. FOTD is here and here. On both events and onward, I didn’t found any trouble applying it on my lips. I can either swipe it directly or dab it and/or smudge it around with my finger. Same as Revenge (reviewed here), Rose Bar is not the best for the lips. Not the most moisturizing but it’s still quite comfortable for me. A good lip balm would help. I actually like the way it covers and envelops my lips. Turns out, this shade is quite close to my natural lip color. The two melded together naturally! The staying power is just average, but since the shade is similar to my own lips, it’s not that obvious when it wears off. Third time around, I knew I have found a staple. Rose Bar, to my best ability to describe, is good, solid rose shade. It has a muted or dusty quality to it, creating a softer look overall when blended. The shade has a good balance between pink, brown and mauve tone. I’d say this is definitely very neutral and gives a believable real-life flush on the cheeks. As a matter of fact, I think it’s probably the closest shade to mimic my own natural flush. 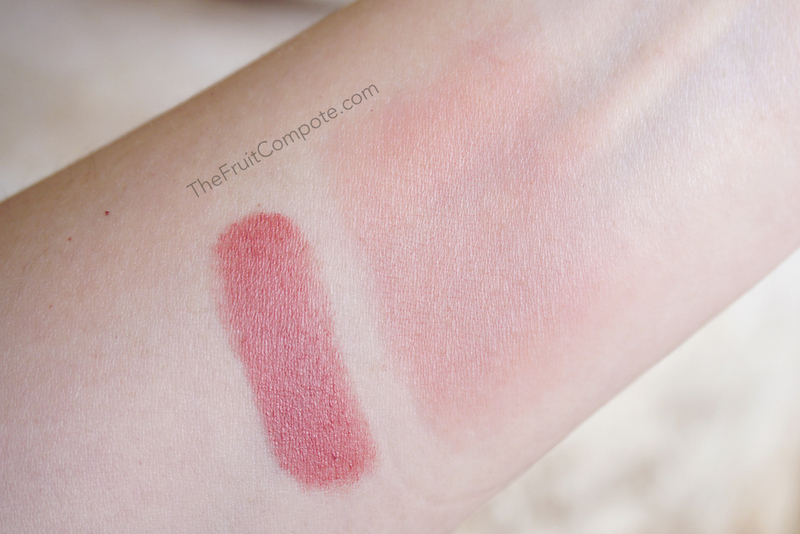 As I mentioned above, Rose Bar is velvety matte in finish and dries like a powder but still skin-like feel. It’s not sticky once it’s blended in. It is perfect and ideal for me. I’m not a fan of cream blushes that leave a tacky finish on the skin or gives out too much shine. I find it doesn’t bond seamlessly even after I set it with powder. The texture of Rose Bar is the same with Revenge. The bullet has a solid feel, but upon touching the skin, it applies quite creamy without being slippery. Blending is insanely easy! The formula is really smooth and it won’t look patchy on the skin, despite how little the application is. I think this is where Rose Bar becomes an absolute winner, it always manages to create that natural, flush-from-within look. The pigmentation is at medium the most. I can only layer so much. I choose to build it up slowly, because it’s always easier to add more than to take it away. I start by making short stripes on the cheek, tap it around while making small slight swiping motion with my fingers. Stop, take a look at it and decide if I need more. I might depending on how I feel that day. I can also add a powder blush later on, if I feel like layering my blushes. My personal pair-up favorite is with Burberry Beauty Light Glow in Cameo. But most of the times, I just leave it as is. Apart from being completely effortless, just swipe and go, the shade itself is feasible for my day-to-day routine. It’s never too much and it goes with almost everything. The level of pigmentation is easily adjustable according to my needs. I almost never go out of the house without this in my bag. I end up really liking how it looks on my lips. Such a beautiful MLBB shade. Perfect rose look with just one product. Rose Bar is also one of the shades the brand offers in different products. It’s available in a classic powder blush form and in Cheek Polish (check out my review on Tadzio and Chic). I’m so inclined to try them. We’ll see. My obsession with ADDICTION by Ayako Cheek Sticks doesn’t end here. I have another one in Amazing but I haven’t played around with it as much as I have with the other two (because the shade is freaking bright). I’m planning to add more shades into my collection and see if I can mix them around. One thing for sure, I LOVE Cheek Stick ROSE BAR.